Find a Beaver Builder expert to help with your website. We have postponed accepting applications at this time. All of these companies have experience working with Beaver Builder. We encourage you to do your own due diligence. This list is an open resource and anyone can sign up by filling out an application. 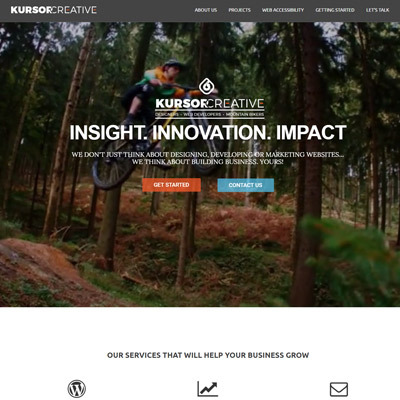 Are you looking for more than just a pretty website? We're looking for clients who would like to partner to increase their conversion whether leads or sales. We work with small and medium businesses and e-commerce stores to help you reach the next level. We offer design, development, marketing and can help you use better analytics to grow your business. Greenville, SC - $30/hr or $1,500 min. 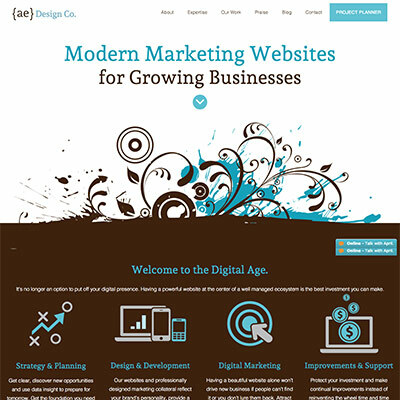 Let us help you bring your business to life online with a modern web design that you can be proud of! When you go with us for your project, you can count on our team to create a website designed to attract, engage and convert visitors into loyal consumers. Your satisfaction is our happiness. 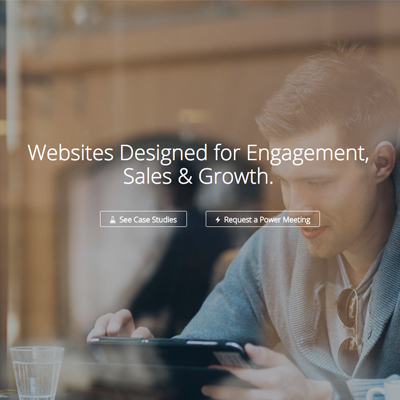 Wheelhouse Digital offers custom web design, SEO and content marketing. Focused on real estate, vacation rental, and wedding venue businesses, we have one pressing mission: bring you more and better leads online. You don't lift a finger. 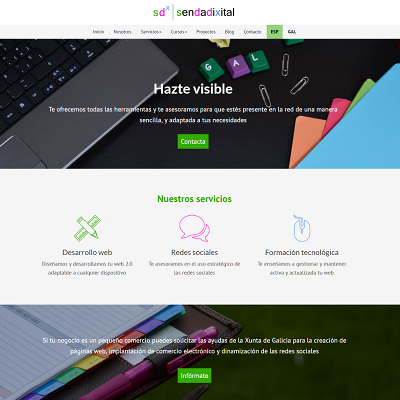 We are a Strategic Design Agency based in Almería, and we work with service companies that do not have an online presence or is not the most appropriate to consolidate and grow their businesses. We build websites that not only look great, but rock it when it comes to marketing, SEO, PPC and more! Our team is more than just web designers, we have a full suite of professionals (all in-house, no outsourcing) who each specialize in a different area and bring a lot to the table. Every website is built to perfectly meet your needs and is guaranteed to look & work great long-term. 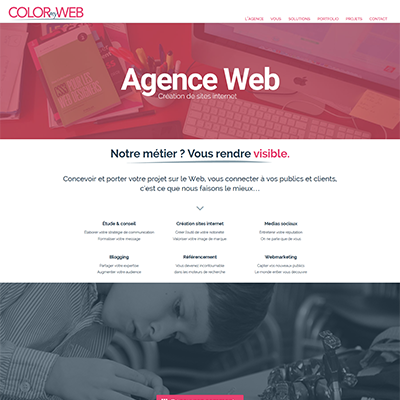 Full service web design agency. Specialises in building websites for businesses, education & arts organisations and not for profits. If you have a unique product, a brand with a story to tell or an organisation to champion, you're in the right place. We're committed to your long-term success! Since 2004 we've been helping clients deliver value early to stakeholders, prioritize the right features at the right time, provide support that empowers & coaching that builds alignment. Our all-inclusive pricing provides project management, design, development, hosting, support & ongoing consulting/coaching. Get in touch today for a free consultation. We build, maintain, backup, update and protect. Our favorite clients are marketing firms that want a super-organized and easy-to-work with partner to make their marketing dreams a reality and get paid recurring revenue in the process! 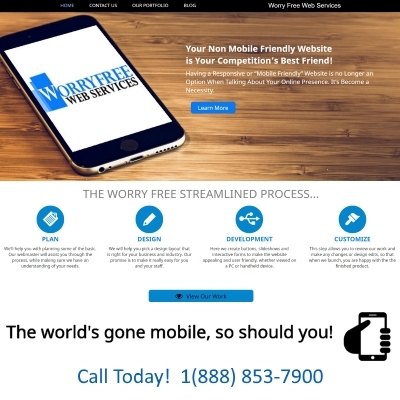 We develop mobile-friendly websites complete with tools, training & support you need to get amazing results. 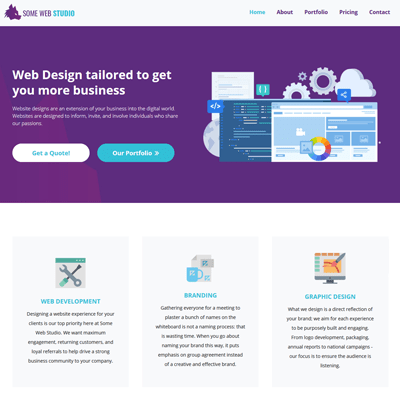 Choose from a custom website design done for you in about a week or a ready made website set up for you in one business day. Learn more, view sample websites and read what my clients have to say at Jennifer-Franklin.com. I specialize in small businesses, and I often combine my own photography into the site! I love creating a site that is going to help a small business thrive and stand out against the existing competition. A creative agency, providing WordPress development, business strategy & website maintenance services for business and solopreneurs. 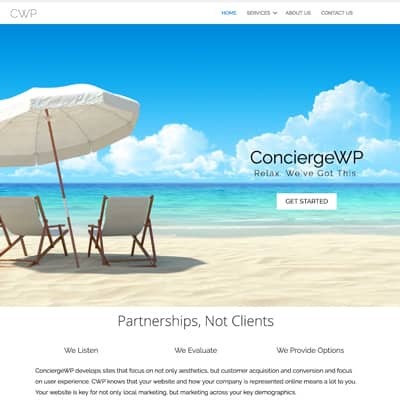 CWP removes the stress from managing the website, allowing the client focus on what they do best. We help our customers bring their visions and ideas into the online marketplace. We offer graphic design, custom coding, SEO development, and audio/video editing. Our purpose and goal to help our clients navigate the unknown, drive change and create value through a unique blend of technology, creativity and innovation at our core. Our team of professionals is focused on delivering great web experiences that provide you with a solid ROI. We are certified partners for WPML, Toolset and WP Rocket, as well as experts in building and extending multilingual WooCommerce sites. digital marketing for online success. 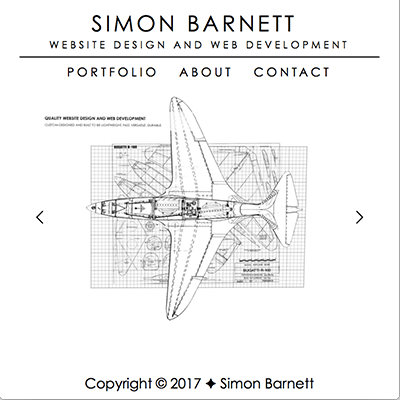 Our approach to website design is simple, affordable and smart. 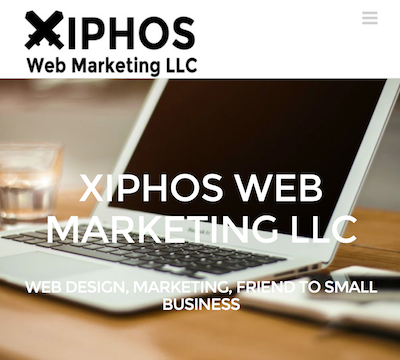 We believe that every business deserves the opportunity of online success, therefore we focus on small to medium business owners who are serious in establishing an online presence for their business and expand their business and marketing opportunities. 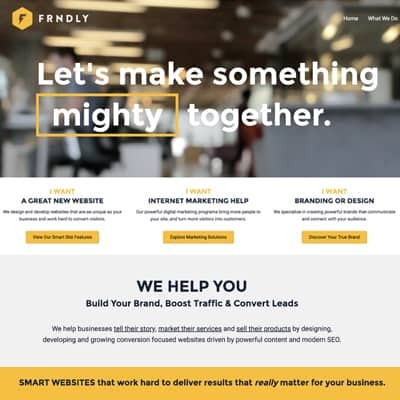 At FRNDLY, we help you build your brand, boost traffic & convert leads. 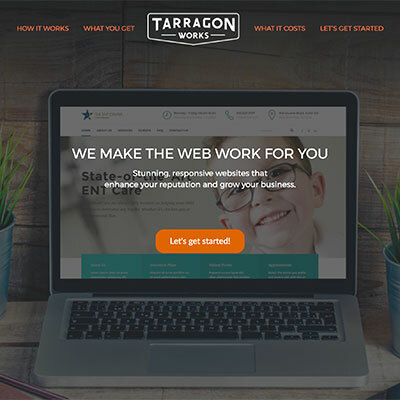 More than just a web design firm, we help businesses tell their story, market their services, and sell their products by designing, developing and growing conversion focused websites driven by powerful content and modern SEO. Let's create something mighty together. 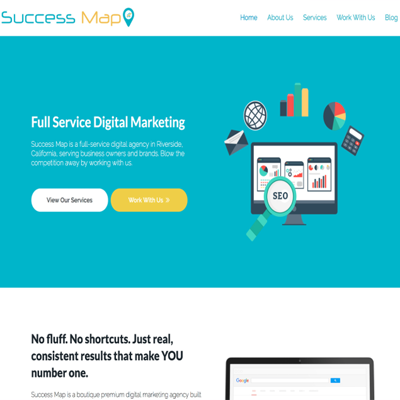 Success Map is a digital marketing agency built to drive businesses to the top. Technology-enabled and outcome-obsessed, moving the needle is what matters to us. We work with emerging startups, challenger brands, and forward-thinking enterprises. With expertise in driving conversion through search & social media, we help businesses and entrepreneurs gain repeat traffic and generate greater brand loyalty online. 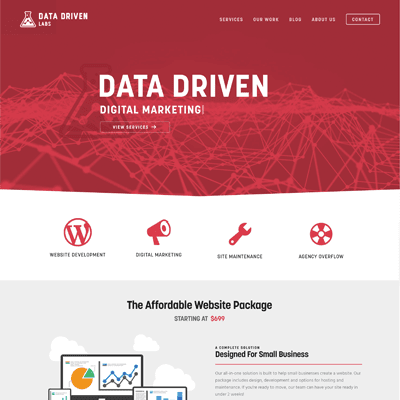 We are a data-driven website dev agency focused on helping small businesses achieve a big business look through data-driven digital marketing & professional web design. Through careful planning, creating, and executing we handcraft and shape your online presence. 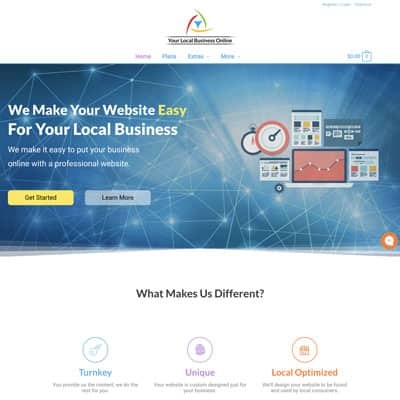 We simplify the web design process for local businesses with easy and transparent pricing and process. We design a complete turnkey website that the business never has to worry about. 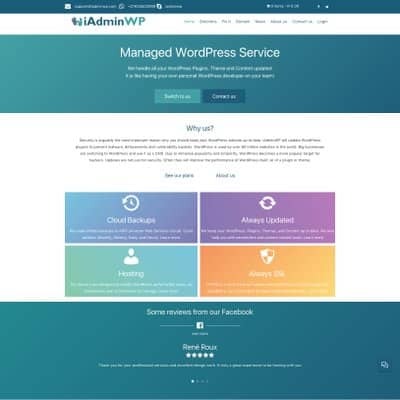 iAdminWP is a Managed WordPress Solution. We do it all, building your website, hosting, updating content, plugins and manage your social media. WordPress is an awesome platform and we believe everyone should benefit from it, with that in mind our prices are unbeatable. We are very focused on security and speed! Give us a try you will not be disappointed! 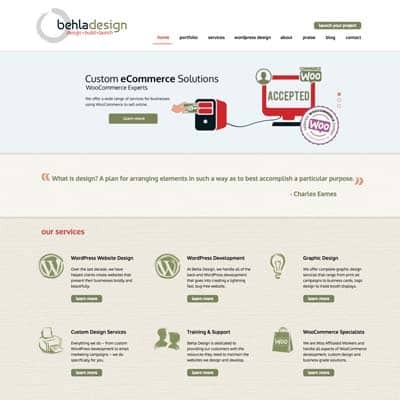 The team at Behla Design, Graphic Design & Web Development, is dedicated to creating visual experiences that effectively tell our clients' stories while engaging, exciting, and enticing their customers. We specialize in custom site design and development using Beaver Builder and are WooCommerce Experts. 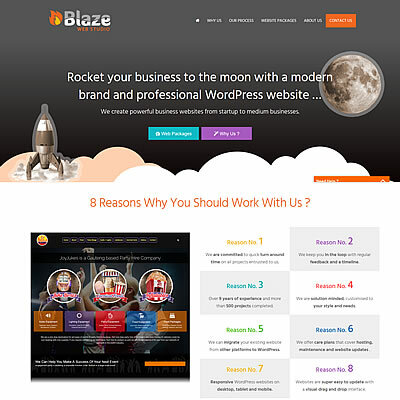 We provide WordPress based solutions for your SME. 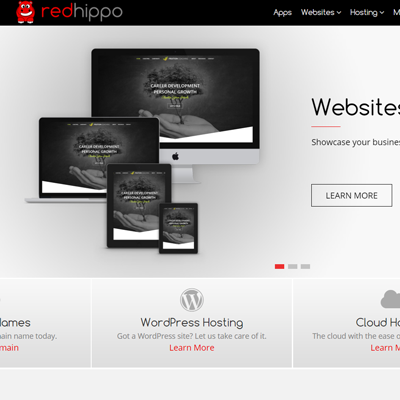 All websites are created professionally, with great design work and studied User Experience. 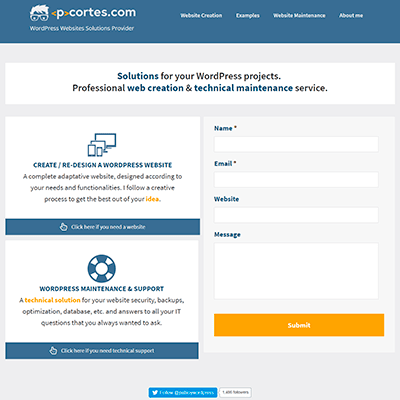 We assist with technical maintenance and provide support for all your questions regarding your website. Service is offered in Spanish, English & French. We wake up each morning looking to connect people to digital information in a beautiful and meaningful way. 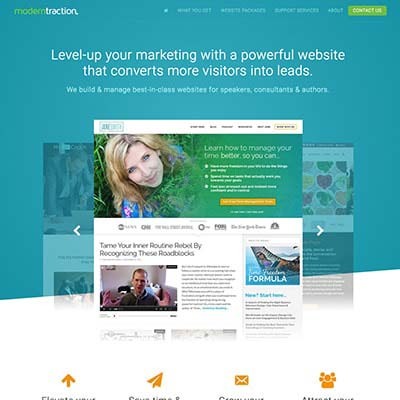 We believe a website should be more than decoration and should empower your visitors to act. 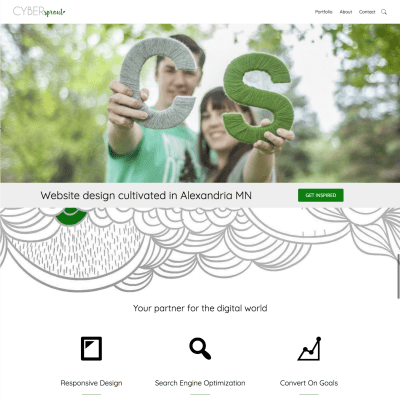 If you value and appreciate what you communicate online and trust expert advice, CYBERsprout is for you. We custom build easy-to-use, reliable, secure and search engine optimized marketing & eCommerce websites that set a solid foundation and infrastructure for growth. Our custom design will make your brand shine, create a lasting impression for your users, generate more leads/ sales and help your business run smoother. We offer full-service strategic design, development & digital marketing services - with a smile. 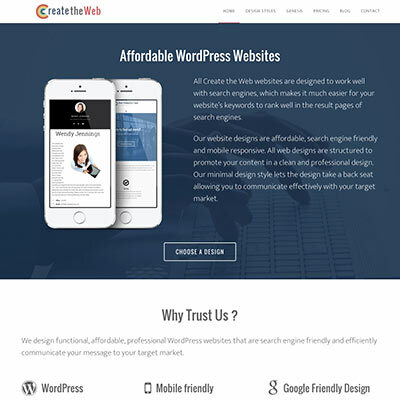 I am a passionate freelance designer focusing on creating awesome custom wordpress websites with beaver builder and print designs for small and medium-sized enterprises. 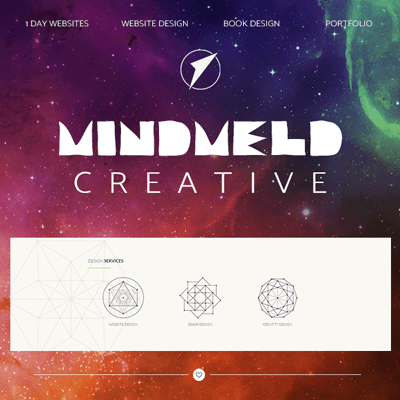 MindMeld Creative will design you a stunningly beautiful, professional website. 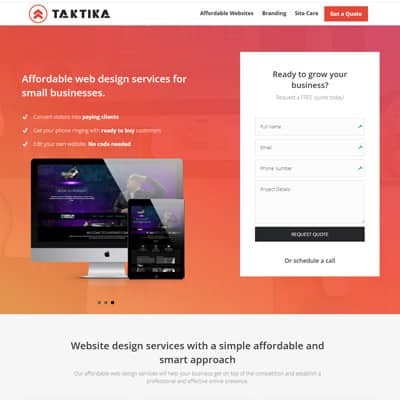 Get a custom, collaborative website in as little as 1 or 2 days with monthly pricing available through our Website-as-a-Service payment plans. 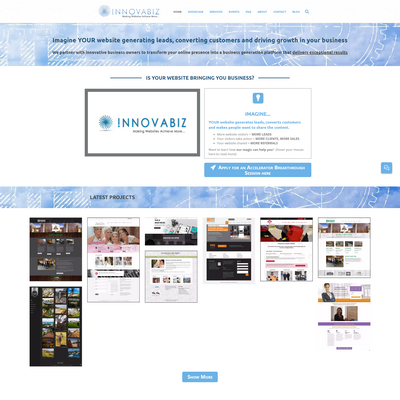 We Transform Your Website Into Your Best Salesperson. 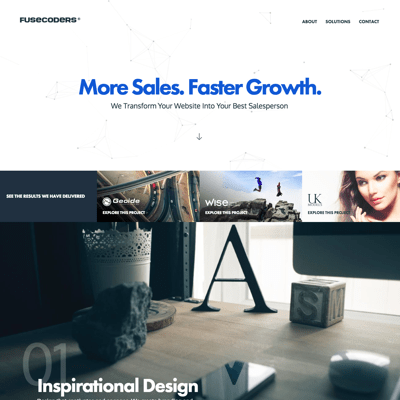 Fusecoders mission is to help companies be more successful online by creating websites that generate valuable leads and increase sales revenue for our clients. 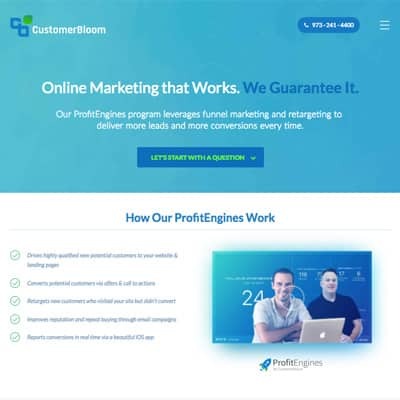 CustomerBloom is a full service, digital marketing agency specializing in WordPress Website Design & Development, SEO, Paid Ad Management, Social Media Management, Reputation Management, and Email Marketing. Our Design & Development teams are ready to take your project from idea to reality! We are a web & mobile development agency striving to create the right website for our clients. 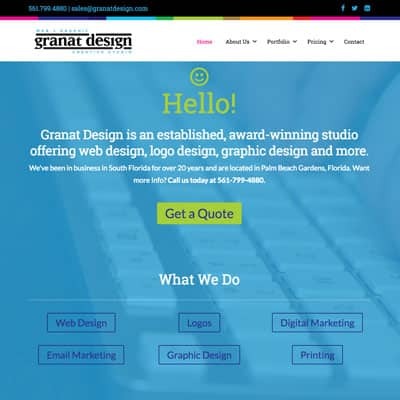 We'll make sure you have the website that, not only looks great, but meets your needs. Your goals are important to us, and we'll work with you to create the perfect solution for your problem. 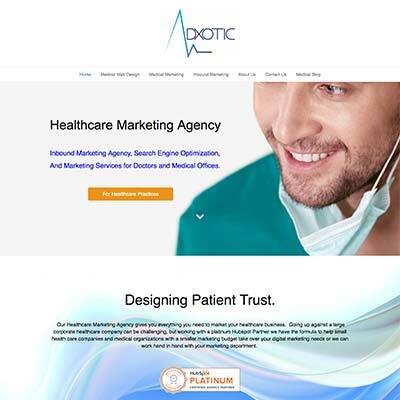 Adxotic is a web design & marketing company founded on the principles that we are the innovators that are there to help generate new leads. Our design services cater to your needs. 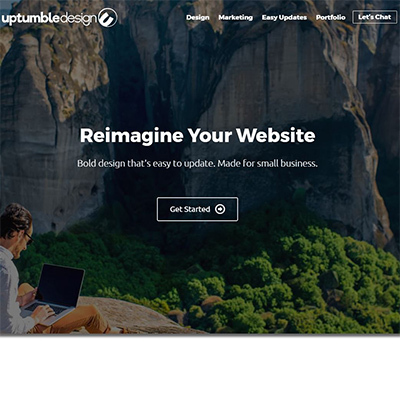 Uptumble provides full-service website design, content and marketing for primarily home automation, audio/video and security businesses. 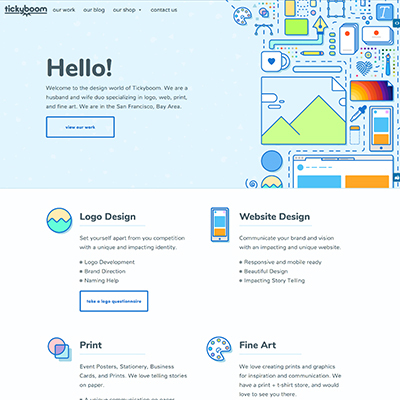 Welcome to the design world of Tickyboom. We are a husband and wife duo specializing in logo, web, print, and fine art. We are in the San Francisco, Bay Area. We believe in telling your story beautifully. 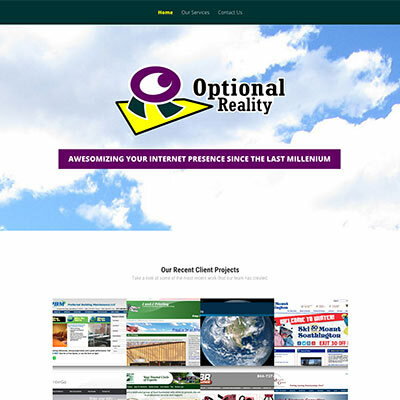 We specialize in all types planning, production, and creation of your business' web presence. Self-proclaimed "Digital Nomads", traveling and working from our laptops. Let us take your business to new places. 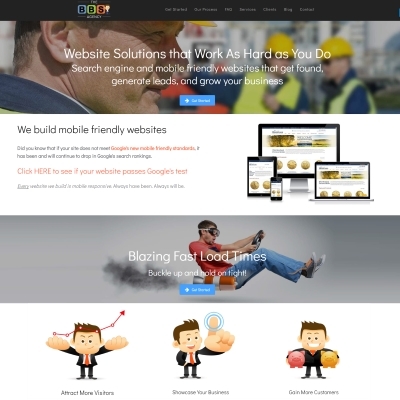 We don't build websites, we build businesses online. We'll work strategically with you to provide solutions that will help you reach new customers online. Our goal is to grow your business and expand your online presence. 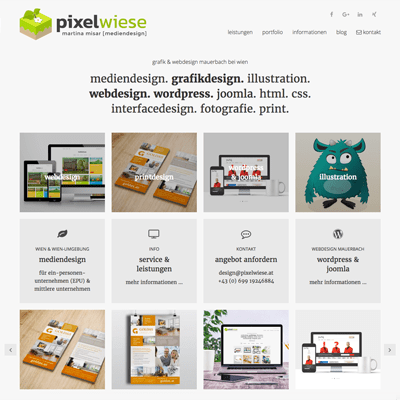 Complete websites or custom tweaks. 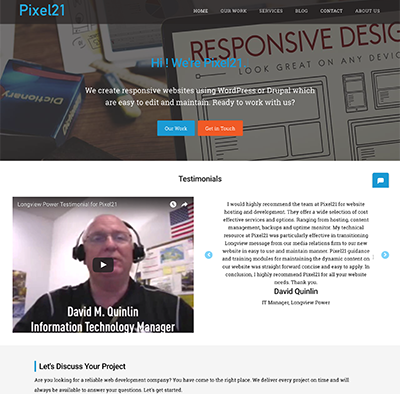 With Pixel21 we make your site look great on all devices. Training videos are provided showing how to make changes. You don't fully pay until you've tested the site & you're satisfied. Check out our site to see what our clients have to say. We build search engine & mobile friendly websites that get found, generate leads, & grow your business. Specializing in WooCommerce websites & helping entrepreneurs who are ready to take their business to the next level. Marketing consultants & web designers using Beaver Builder page builder exclusively. 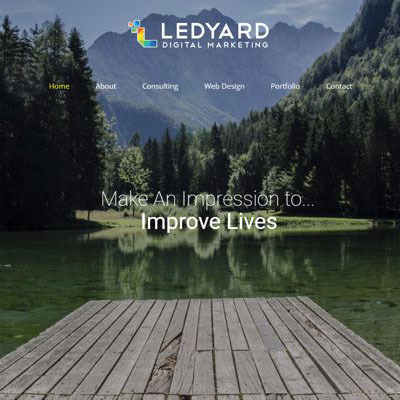 Ledyard offers dynamic SEO optimized local landing pages, eCommerce sites, informational business sites, logo design, domain research and custom WordPress plugins & BB modules. Call for a Free Consultation - 315-440-9955. Website design and search optimization services to create an effective marketing tool, not an art project. Hosting, updates and SEO. You get that your website is more than a box to tick. It's the platform to showcase your passion & grow your business! You've got a BIG heart + BIG ideas but navigating WordPress has left you feeling overwhelmed. I'm here to help you build the site of your dreams. Goodbye late-night Googling. Hello online happiness! 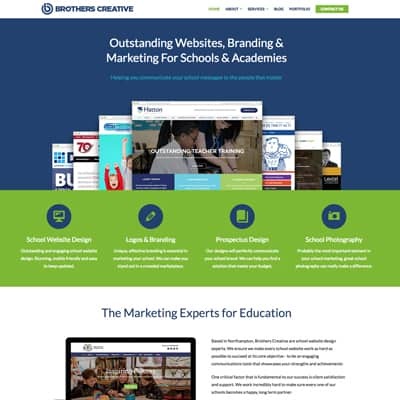 Our mission is to help Schools & Academies elevate their brand and be more successful online. We do that by taking the time to understand your goals and your objectives, and working closely with you to design and deliver solutions that highlight your strengths and achievements and communicating your messages to the people that matter. Worry Free Web Services prides itself on customer service & support. We're available 24/7 and specialize in building a design that fits your needs that is SEO friendly, responsive, 100% mobile, using WordPress. We provide ongoing maintenance and will make any needed site updates. We provide the best, most honest support around! WooCommerce agency that focuses on automatic processes from marketing to reducing the manual process. Integrates with most enterprise systems and fulfillment partners. 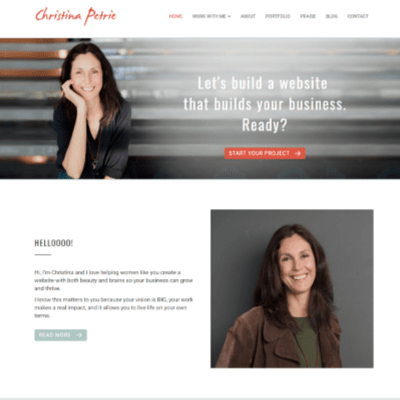 I'm Christina, web designer + strategist. 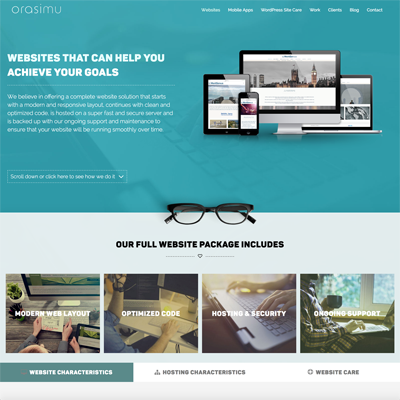 I build websites that build businesses. 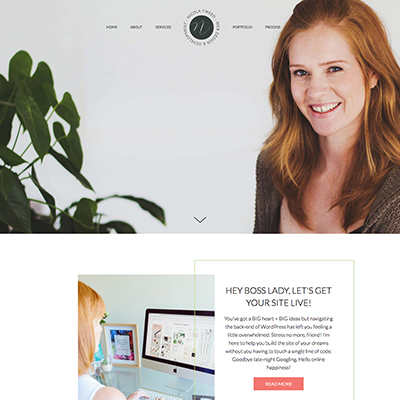 By bringing together the perfect blend of design and wickedly smart strategy, I help female entrepreneurs with big visions cut through the digital noise with a website that has both beauty and brains so that their business can grow and thrive. 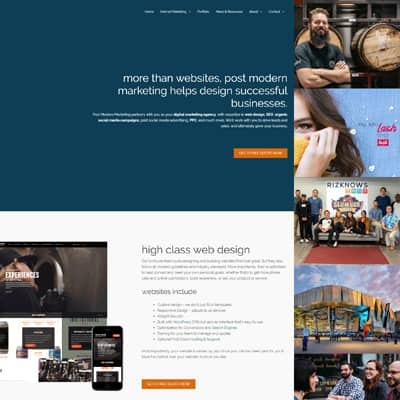 As experts in design, development and marketing, we've spent years perfecting a process that's streamlined just for small business websites - giving you a 360º web solution for your brand. We have been creating professional custom websites since 2005. Our websites are build using the industry standard WordPress content management system and uses the Beaver Builder page builder. It’s not just enough that you have a website, you need a professional-looking, quality website that's built on a solid foundation. 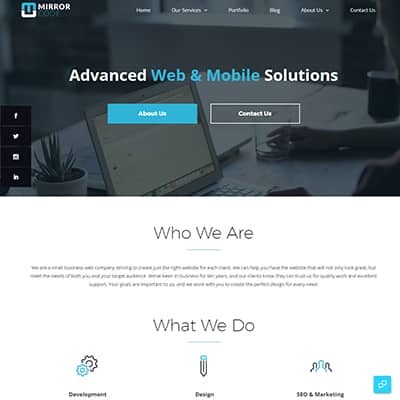 We are a digital full-service bureau that specializes in all aspects of digital services such as website development, web design, Search engine optimization (SEO) and digital marketing through many different channels like AdWords, Social Media and specific website ads to help you find your customers on the web. 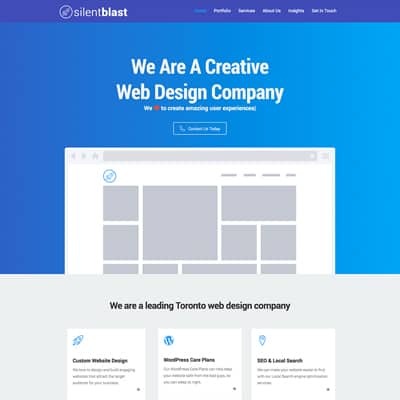 Our client-focused, results-driven approach to website creation ensures that your site stands alone and supports all your other marketing initiatives both online and off. Our passion is to create user-friendly websites that work for businesses of all sizes. 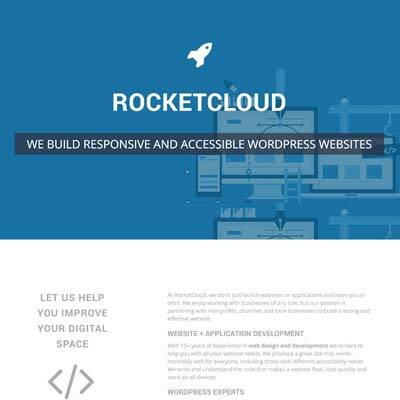 We provide expertly crafted WordPress solutions that are tailored to our clients' needs. From custom themes, to plugins, to BB modules, we strive to deliver the highest quality designs & code. Your website is your shop window, your brochure, your sales rep and your customer services team. Make sure yours is working hard to win and retain business for you every day. 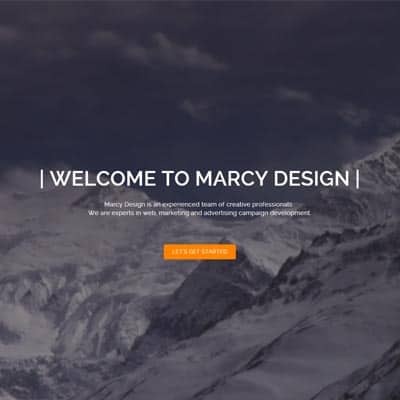 Marcy Design can provide your organization with all services necessary to produce a powerful, creative and cost effective website. 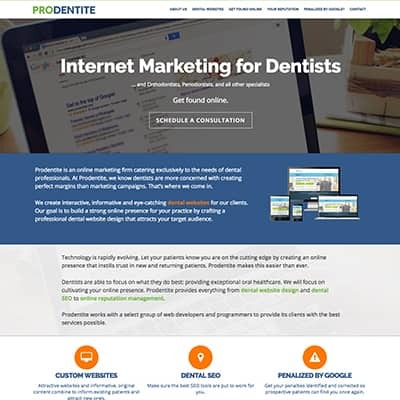 PRODENTITE caters exclusively to the needs of dental professionals. We create interactive, informative and eye-catching dental websites for our clients. Our goal is to build a strong online presence for your practice by crafting a professional dental website design that attracts your target audience. Silicon Mountain is a collective of creative and technology wizards based in South Africa. We are primarily focused on online media: websites, apps, and user experiences. As a collective we are able to draw on a pool of creative talent which feeds into a cohesive and very satisfying experience for our clients. Building business-class, mobile-first web applications that will engage your frontside visitors, backside admins, and everyone else in between. 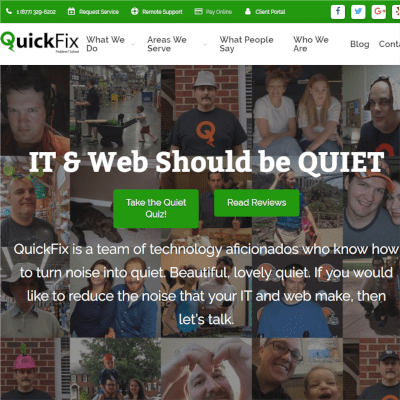 Using software and technologies that won't leave you stranded -- best-in-class suites of fully supported extensions & plugins that remove the barriers between you and a great website. We're an award-winning, creative design studio serving the South Florida market for over 25 years. 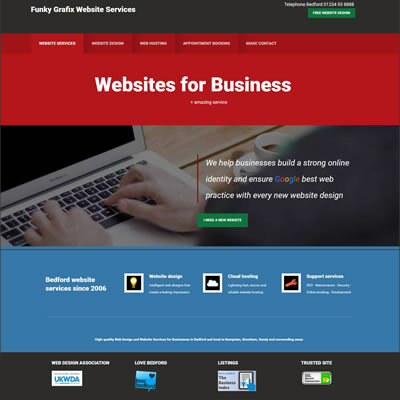 All our websites are built with Beaver Builder. 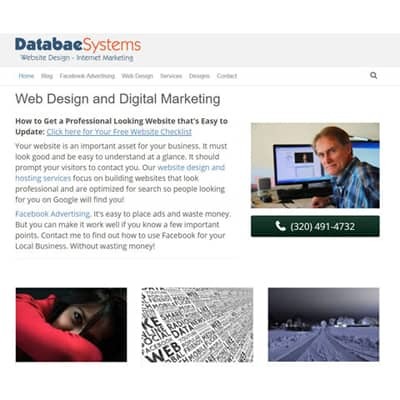 In addition to web design, we offer Online Marketing, SEO, Graphic Design and Printing. 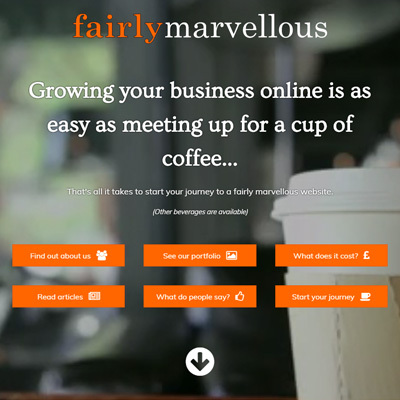 We create and support marvellous websites that are very fairly priced. Not only do we build your site, we continue to maintain, support and update it as part of our package - we build relationships as well as websites. Hangar Bay 94, run by Kaiya Kramer, specializes in using Beaver Builder and WordPress to rapidly design and build any website in one day. She will also "convert" any site into Beaver Builder so that it will be easy to update and develop. It's important to think about how humans do things! 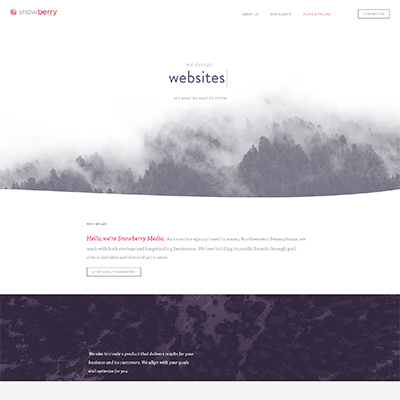 Funky Grafix helps businesses build a strong online identity and ensures Google best web practice with every new website design. 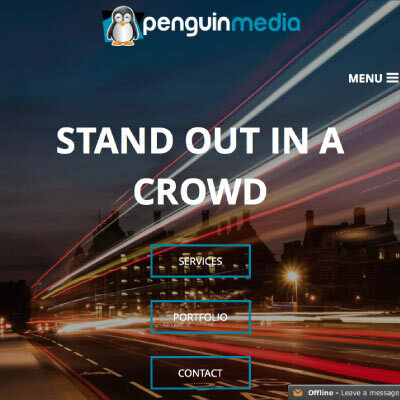 We build some of the fastest loading websites in Bedford UK, using Genesis for the solid WordPress framework and Beaver Builder to easily add visual content where desired. 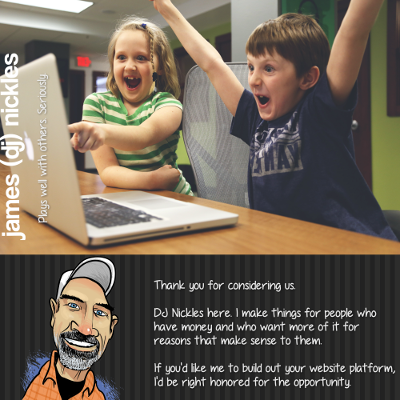 What sets Awesome Dynamic apart from other Web Developers is our customer service. We are here for you and respond quickly to phone calls and emails. Our focus is on providing a real return on investment for you, this means creative solutions that make you stand out online, so you are able to do what you do best, run your business. 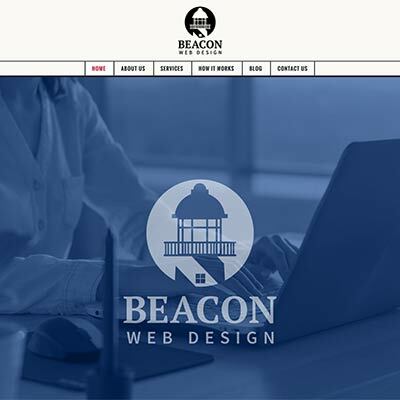 Beacon Web Design works with small business owners, independent contractors, consultants, and entrepreneurs who want a modern, professionally designed and customized website for their business, but are on a tight budget. 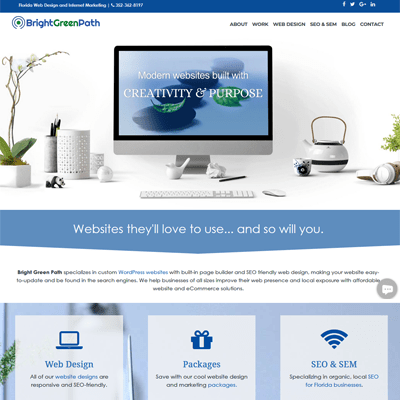 Brain Bytes Creative builds compelling websites that convert visitors into customers through strategic marketing and optimization to cost-effectively generate revenue for your business. 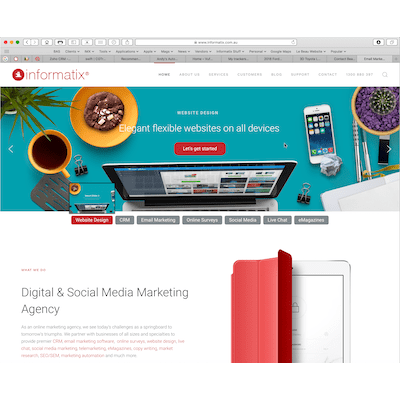 At Informatix, we've built a team of highly talented, innovative web designers who know what it takes to craft a high-performing, visually appealing online presence. We'll work with you to include all the elements you need to put your best face forward. And because our skillset spans all aspects of web design, from SEO, copywriting to usability to hosting, you won't have to spend money on multiple providers. 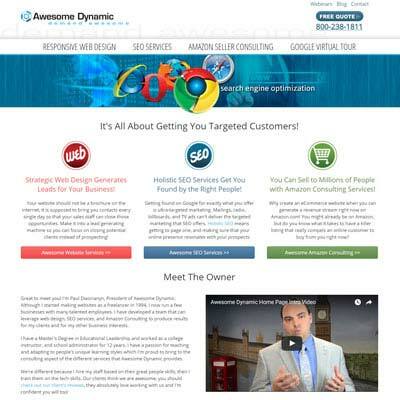 With over 15 years of experience, we build fast-loading websites with a focus on user experience and lead generation. 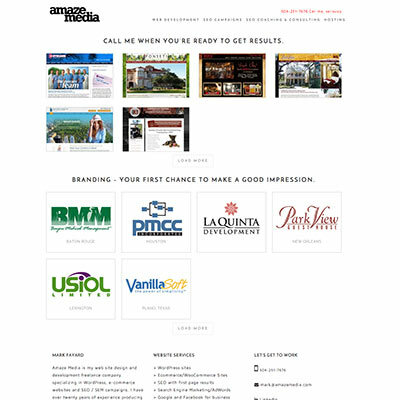 We have built websites for medical, retail, education, real estate, and entertainment industries. We also provide training, support and website care on an ongoing basis. We specialize in providing a simple yet modern look for small to mid-size business. Many companies and firms require a higher degree of professionalism for their websites and branding. Zest was built around that understanding, and has become a leader in supporting professionals in fields such as law, accounting, finance and health care distinguish themselves in the marketplace and leverage niche service concentrations. We are a marketing and design agency with passion for the visual arts and all things digital. We do branding, web design, graphic design and social media. 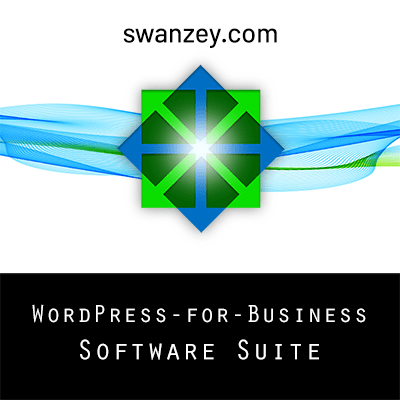 We create visual and marketing solutions and develop WordPress systems and projects that will make your business grow. 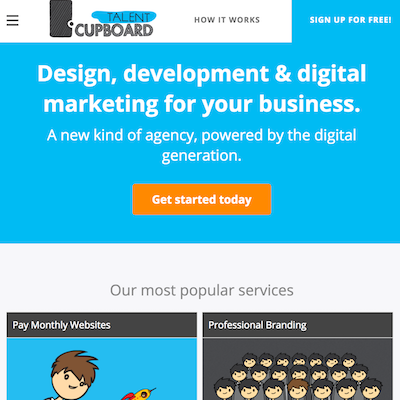 We build badass, lead-driven websites for small businesses and non-profits. 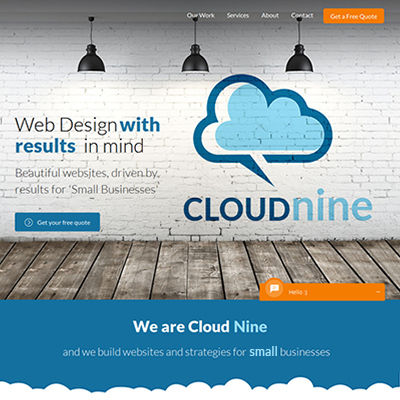 Cloud Nine has an inclusive program in place to offer clients web design, lead generation strategy, WordPress support and maintenance, and more. We work with our clients as a 'partner', not just a provider. 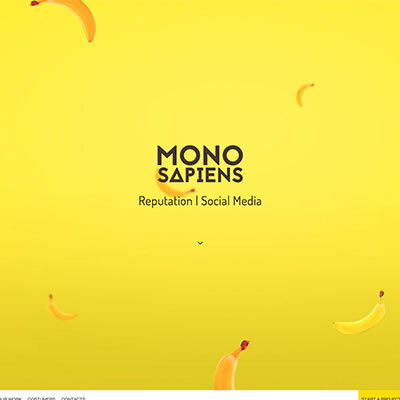 We are a well established EU based design studio and we aim to design and develop websites that express the unique identity of our clients and achieve their desired goals. We are experts with WordPress and Beaver Builder and can help with both small and large projects. We also offer reliable hosting and on-going support services. A worry-free experience guaranteed! 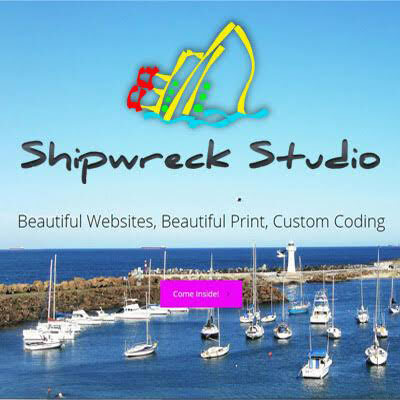 Specializing in small / medium sized business clients, my websites are simplistic by design. A website design that fits your business is crucial. I take the time to listen to your needs and ensure I understand what you’re looking for, then I’ll deliver a site that you’ll be proud to call yours. 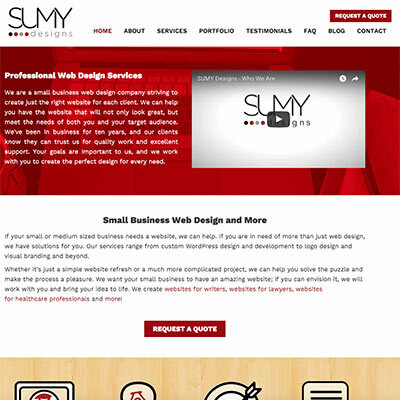 Sumy Designs is a small web design and development company servicing small business clients across the US. We specialize in finding the right solutions for each project and ensuring our clients have a great experience through the process. I'm Not Marvin creates web based applications for businesses that want to automate or integrate their offline systems with their online world. 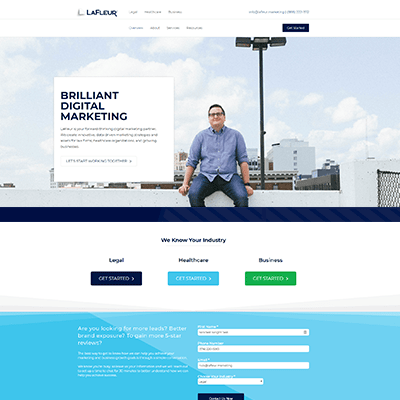 Left Right Labs is a web design & digital marketing agency specializing in branding, strategy, and marketing automation. 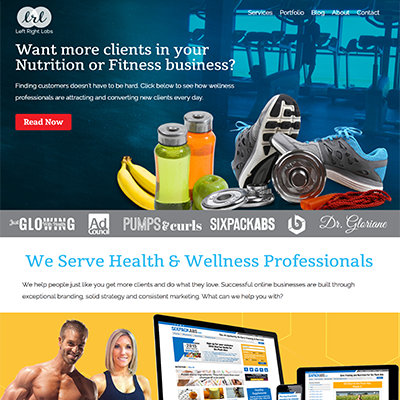 We help health and fitness professionals get more clients online. 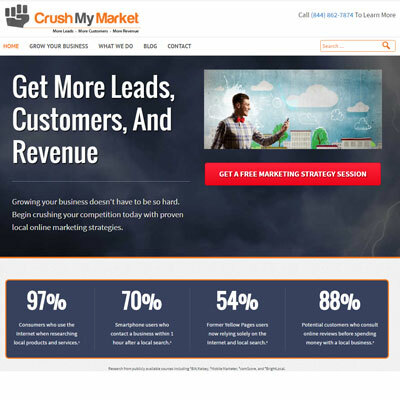 Level-up your marketing with a powerful website that converts visitors into leads. 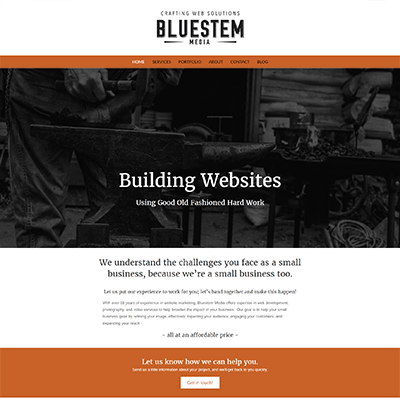 We build & manage best-in-class websites for speakers, consultants & authors. You'll be seen as an authority in your niche with a high-impact brand and quality WordPress website that looks and works the way you want it. Our unique process allows us to provide turn-key website packages that vary from semi-DIY (1 day delivery) to completely done-for-you (2 week delivery). We build websites and eCommerce solutions for small to medium businesses, offering a complete solution from start to finish. Want to run your own hosting, no problem or let us do the heavy lifting and take care of everything for you. We handle all aspects of your web presence & ongoing maintenance. 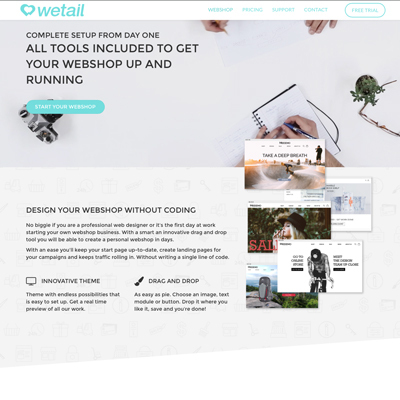 With our custom code wrapped around Beaver Builder's beautiful front-end drag & drop editing, we feel we offer the easiest WordPress end-user solution available today! We're results driven and only deliver the services that you need. We'll work directly with you every step of the way to set up an online presence that your business needs. Design, Development, Consulting, and personal touch are included in all of our services. 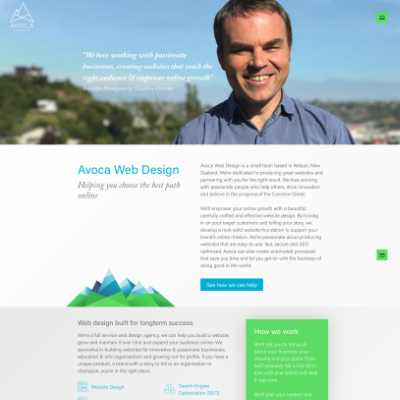 We build beautiful websites that don’t just look great, but also function well. A website for a business of any size is an investment and as such we believe your website should provide you with a positive return on investment. We do this by creating fantastic user experiences at a price that won’t break the bank. We don't just build websites - we build strategies that generate more leads and sales. We do this by measuring the metrics that matter most to your business then applying tested solutions that accelerate growth. If you're passionate about growing your business and partnering with an experienced team, then contact us for an introductory call and we'll show you how we can help. BeeDragon offers a full range of design, development, maintenance, and hosting services. 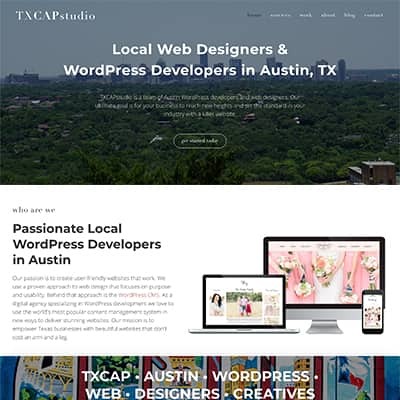 We specialize in custom WordPress development for individuals, businesses, and non-profit organizations nationwide. 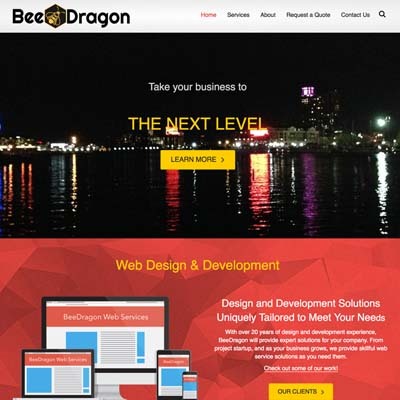 At BeeDragon, we work with you to build a website that will take your business or organization to the next level. 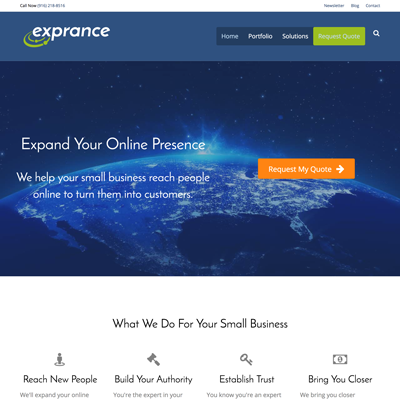 We want to help small business owners have an awesome online presence without breaking the bank. 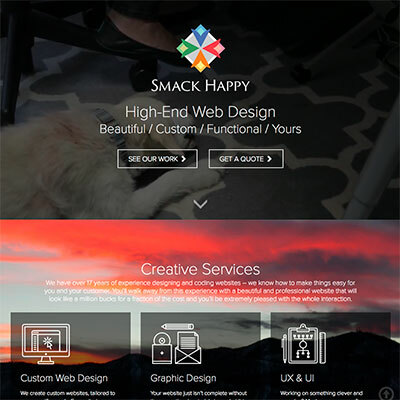 We are WordPress web designers who will create a beautiful custom website for your business. We offer exceptional customer service! We also design custom websites for churches and non-profits at https://dlchurchwebsites.com. We partner with business owners to transform your online presence into a business generation platform that delivers results. We know how to develop a powerful online strategy and with that strategy we build websites that bring you more customers, more enquiries and increased sales. 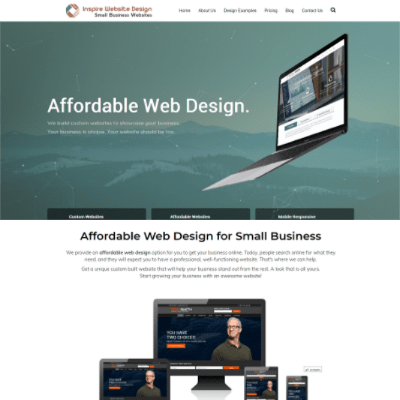 We offer hand crafted websites that fit into small business budgets. Our focus is on good content strategy with strong SEO results. Expect personal service, strong long-term relationships, and good old fashioned hard work. 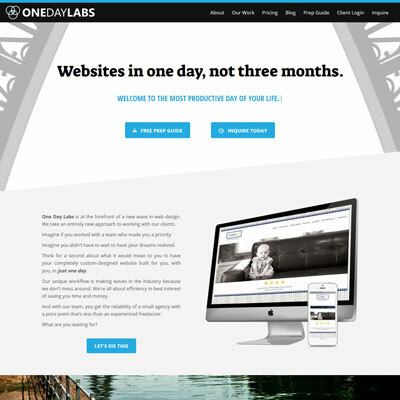 We collaborate with small business owners to build custom websites in one day. You get a prep guide to help you get your content ready, then we book a day for a build session where we'll go from zero to launch in less than 12 hours! Training in Beaver Builder editing is included, but we also provide maintenance options as well as SEO. Half-day and one week options also available. 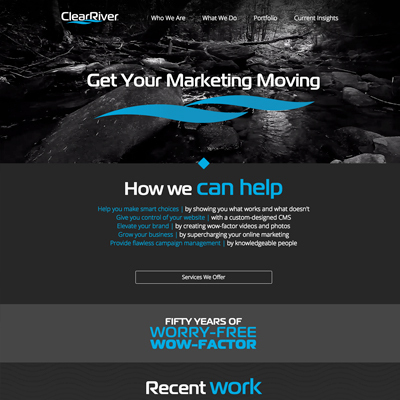 ClearRiver is a digital marketing services provider with a passion to help you grow your business. We do so by working with business and marketing folk to produce websites, videos, photos, and printed materials to help get the word out. 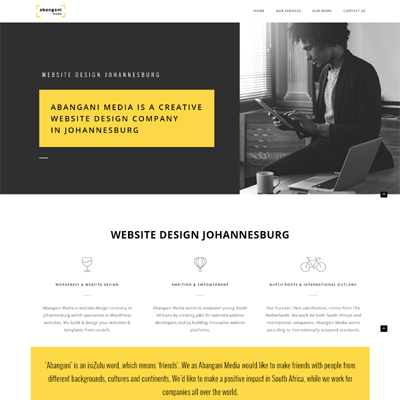 Abangani Media is a creative website development company, based in South Africa, but we work for many companies and agencies around the world. We specialize in WordPress & Beaver Builder. 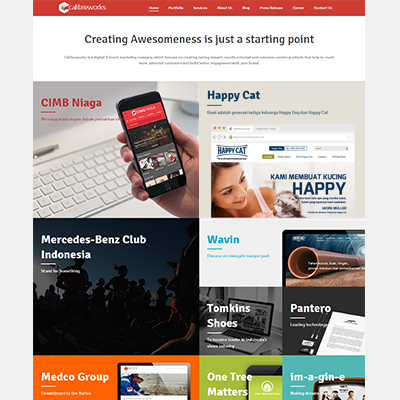 We do a lot of PSD to WordPress conversions for agencies and designers. Clifton Creative Web specializes in creating a beautiful and effective web presence that achieves the goals of our clients. We make your online presence profitable and beneficial through smart website design, web development and search engine optimization. Designing and building WordPress Websites to reach your audience. Offering Web and UX design for a rich and enjoyable experience... that's our job. Producing high-quality Web content for those who make the Web amazing... we enjoy doing it 🙂 Let's work together. We’ve been awesomizing your internet presence since the last millennium! And ever since Beaver Builder came along it’s made our work faster and better! 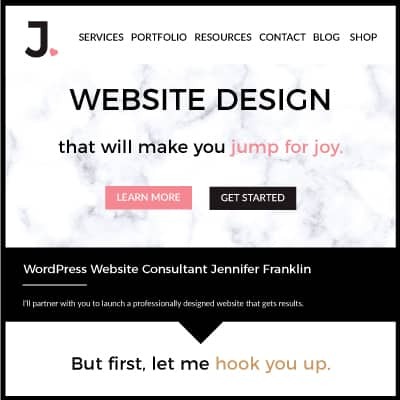 In addition to building responsive WordPress sites that area easy to navigate and easy to update, we provide other services such as graphic design, video production & editing, and print services! 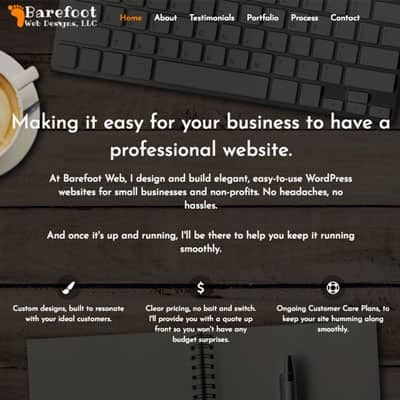 We are experts creating customs web and eCommerce solutions using WordPress and Beaver Builder, and you can get a beautiful, clean, and functionally Website for your business or Project. As a plus, we know about branding, so you will receive advice about your Brand. 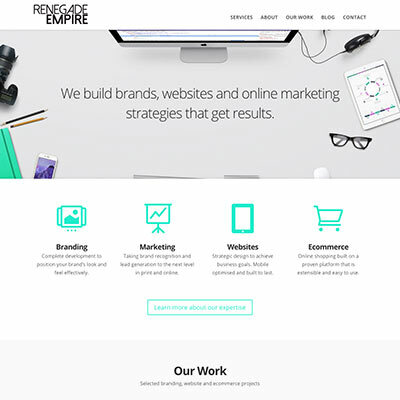 We are Buro Renkema and we are WordPress enthusiasts creating custom websites using WordPress and Beaver Builder. 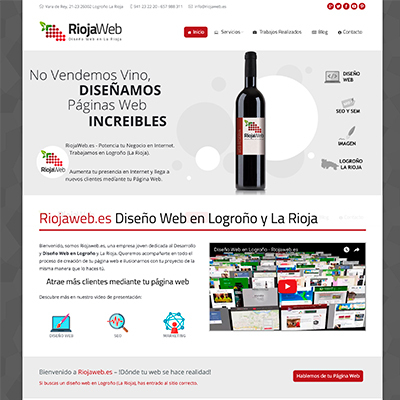 Within a week after our first contact, we can have your beautiful website online to get you more customers. To attract more visitors to your site we can also help you with Search Engine Optimization and AdWords. 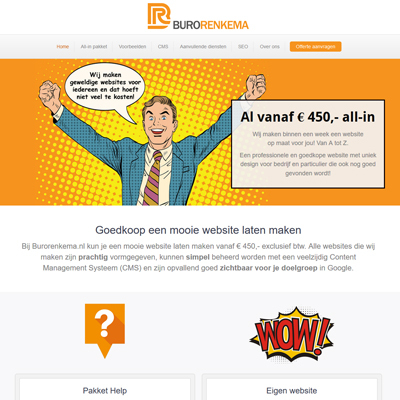 Buro Renkema offers the complete package! We create websites that not only look beautiful but serve as an extension of your sales and marketing team. 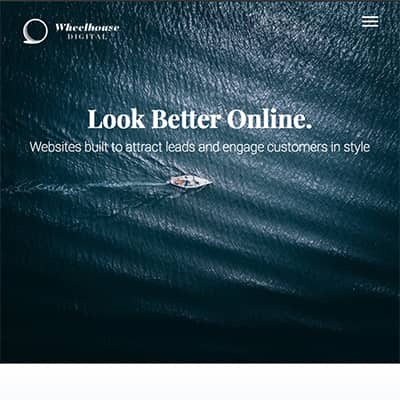 By using your website to turn visitors into leads & leads into customers, we're able to deliver a high return on your marketing investment & transform your site from a simple online representation of your business to an indispensable, revenue-producing asset. 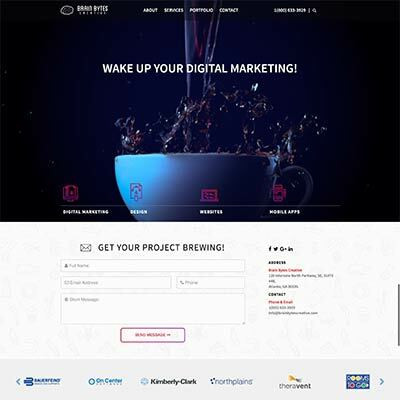 Plugin Group partners with ad agencies, web developers, and growth-focused businesses, providing the precise support needed to achieve premium results at any given time. Plug into our ready-made, white-label solutions for all areas of digital marketing. 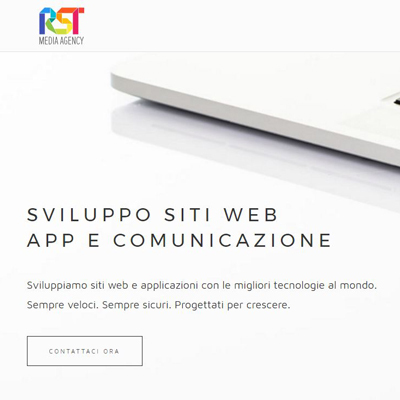 Italian design and first class web hosting. 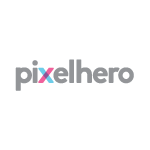 We are the first media agency in Italy powering our project with this ultimate visual editor. 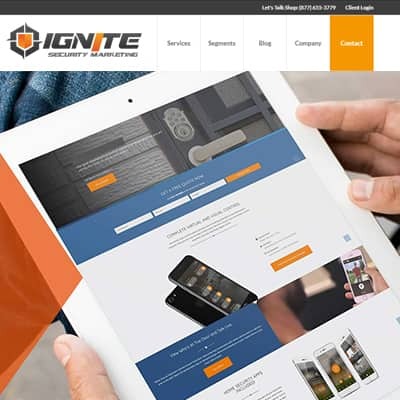 Ignite Security Marketing is a dedicated team of industry professionals providing web design & digital marketing exclusively for security companies nationwide. Our clients range from SDM 100 corporations, systems integrators, and guard companies, to family owned alarm companies and central stations. 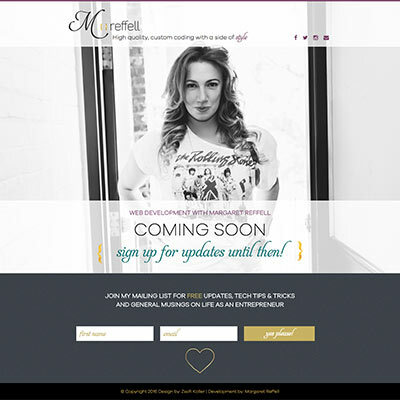 My name is Margaret Reffell, and I am a Web Developer specializing in WordPress, e-Commerce and Membership Programs. I also teach WordPress Development at a local coding school. My goal is not to “sell you”, but rather find the best solution to achieve your business goals. 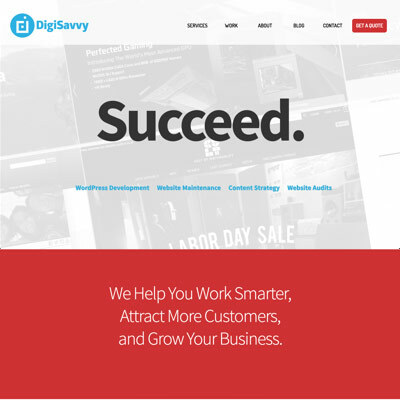 DigiSavvy is a Los Angeles based digital creative agency, providing professional WP Development, PPC strategy, and campaign management for business and education clients. Founded in 2010 and driven by a passion to help clients exceed their expectations, they're also community-minded, people-driven and active within the WP community. 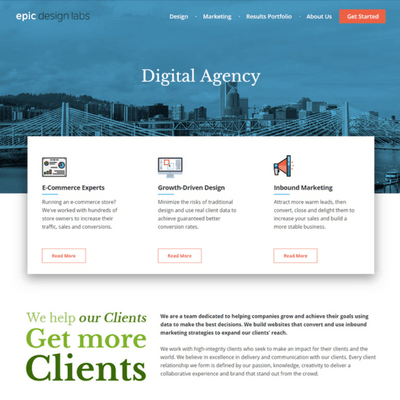 We're a full-service digital marketing agency specializing in creating professional WP website designs that generate leads for entrepreneurs, podcasters and small businesses. We're a unique team because we offer you an all-in-one package that includes expertise in internet marketing, WordPress designing, search engine optimization, podcasting, and email marketing. We Build Bold, Modern Websites That Give Your Brand A Lift ...Easy to update, simple to navigate and geared to generate leads. When you do well, so do we. Which is why we put our best efforts behind every project. We also create eye-catching branding. We are web-design and marketing specialists that design practical websites to match your organization's brand-image and we ensure that the right content is published to assist you to achieve your overall marketing and sales targets. And we also specialize in eCommerce integration. 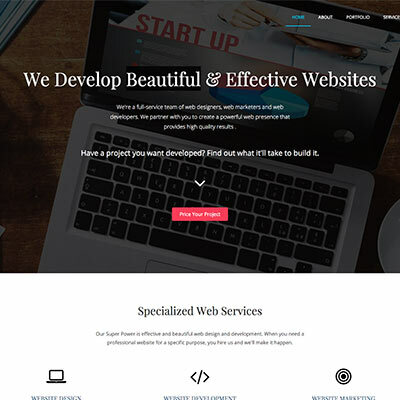 We are a team of designers, developers (front and back end), software engineers and web marketers that provide holistic services to our clients that require specialists in all facets of the digital world. We can take your website to the next level with our marketing packages. Feel free to give the team a call to discuss your needs. 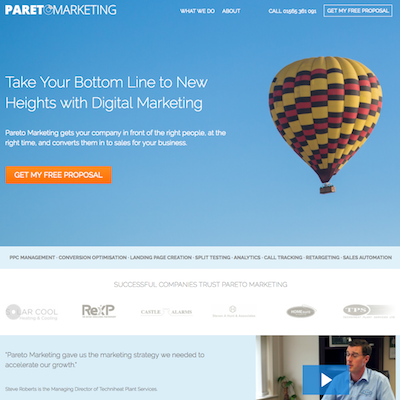 Pareto Marketing builds websites that generate new customers and sales for your business. We can also help with lead generation and are a Google Partner company with exceptional PPC & CRO skills. Get in touch with us to apply for a free strategy session. 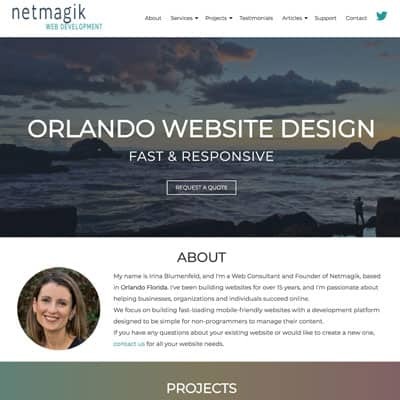 We're a professional web design and web development company based in Ocala, Florida. 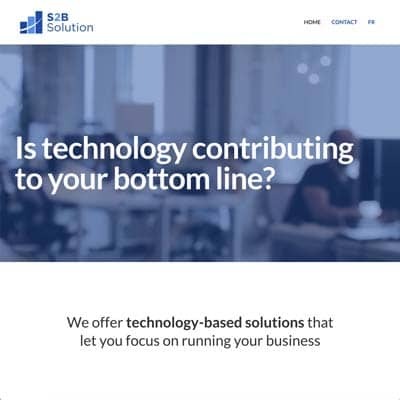 Since 1998 we've helped all types of businesses achieve success through creative website design, effective SEO, eCommerce solutions, and digital marketing. 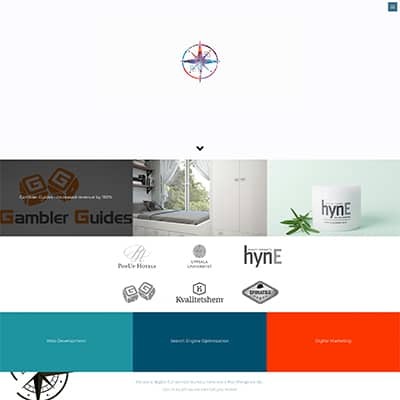 We offer easy to update, unique WordPress websites for businesses plus WordPress help and maintenance services. 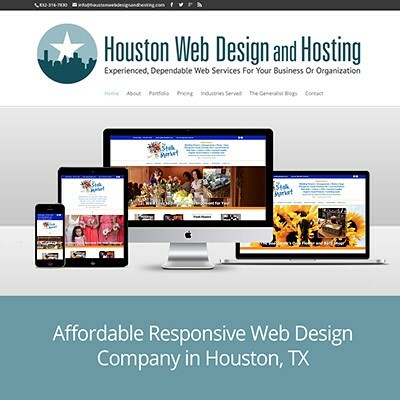 With over 20 years of website development, design, maintenance and hosting under our belt, we have the expertise to effectively manage and market your business or organization on the web. Since 1996, business owner and developer, Michele Caldwell, has built and maintained over 400 websites. We don't just build you a website - we create, refine, promote and support the precise tool your business needs to thrive online. We’ll empower you to enhance your brand & strengthen your position in your industry. That would be our honor. After all, as an entrepreneur helping to fuel the nation’s economy, you definitely qualify as a fellow superhero. 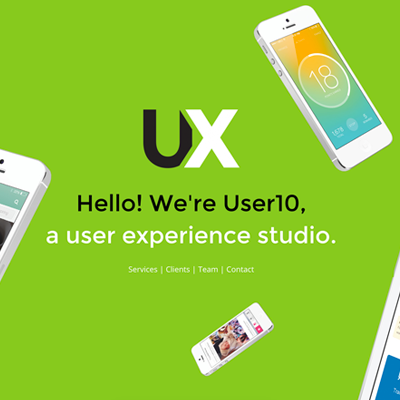 We are a user experience studio in located in Scottsdale, Arizona. We build apps and websites for clients that range from scrappy startups and Fortune 500 companies. We're a fun-loving, easy-going trio of pixel-pushers. We love solving problems and helping grow organizations like yours. 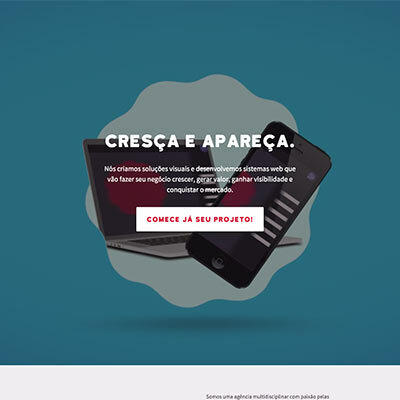 Dreamlab is a Dutch-based design and web development studio. We specialize in WordPress and WooCommerce. We offer support, service and maintenance programs to keep everything stable and safe. A full-service solution. 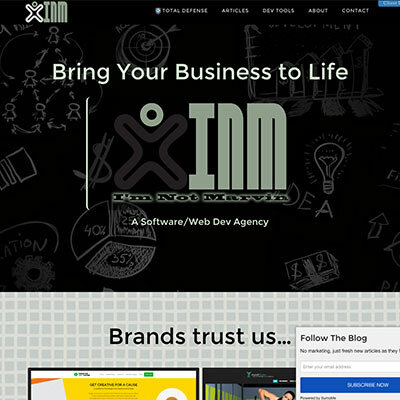 Our goal is to make great websites to help great companies to become great brands. 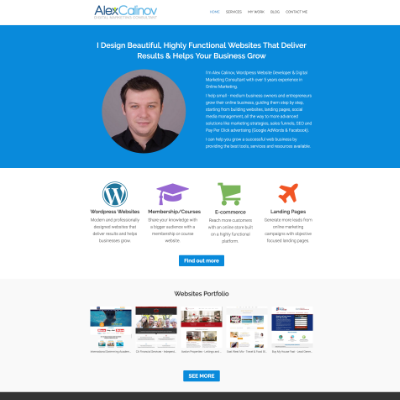 I am a freelance designer and developer specializing in creating custom WordPress websites. I'm enthralled with Beaver Builder and its capacity, which enables me to produce any design imaginable. I’ll be happy to speak with you about your Beaver Builder project. 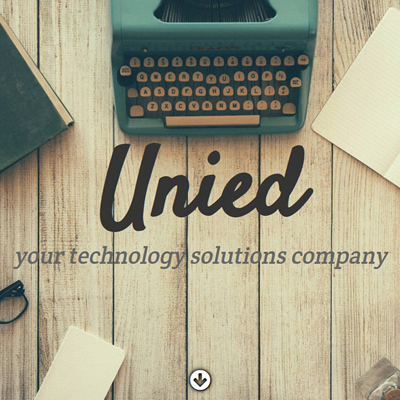 Customization, single page layouts or full site development all welcomed. 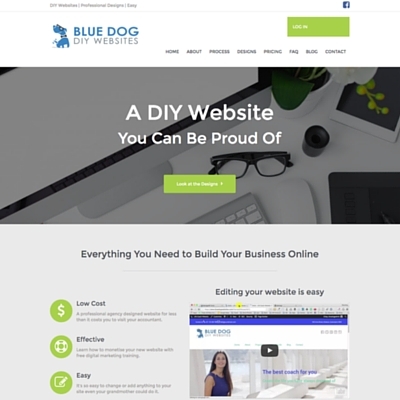 We create professional DIY websites that look beautiful and are perfect for Small Businesses and Startups. We achieve this using Beaver Builder, a turnkey system with 95% of the hard work done for you. 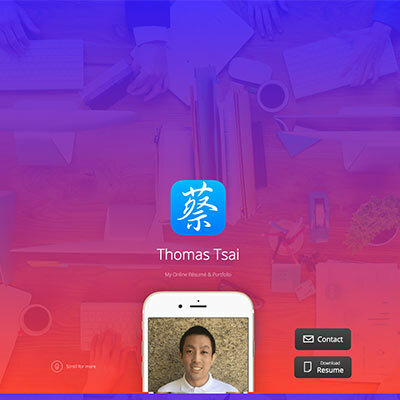 Just add your logo, photos, tweak the text and hit go. Easy, Fast & Looks Amazing. 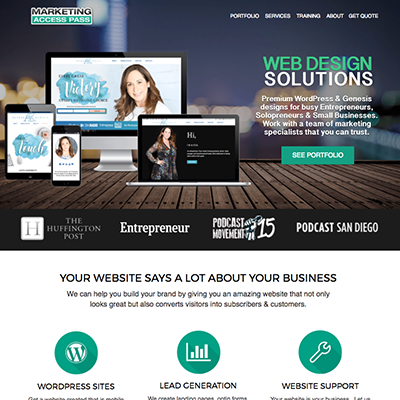 We help small business owners succeed online by providing them with professional, elegant, custom WP websites. We do more than simply build websites though, we’re online business coaches, here to help you win the internet. With 25 yrs of business experience and over a decade of running our own business, we’ll help your brick and mortar or digital business succeed online. As a creative agency based in snowy Northwestern Pennsylvania, we work with both startups and longstanding businesses. We love building impactful brands through goal-driven websites and detailed print work. 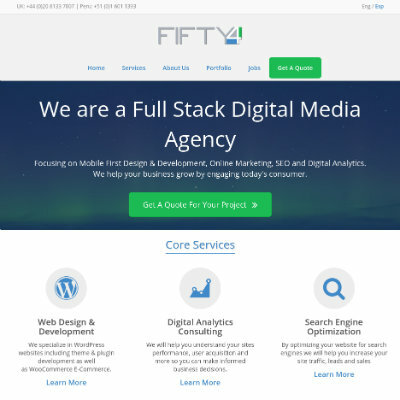 54 Solutions is a Digital Agency that focuses on Mobile First Website Design & Development, Online Marketing, SEO and Digital Analytics. Our multilingual team can help you reach potential clients in both the English and Spanish-speaking worlds. 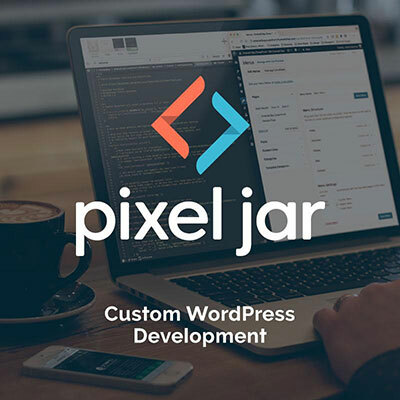 Pixel Jar is an Orange County-based web firm who specialize in custom WordPress development. 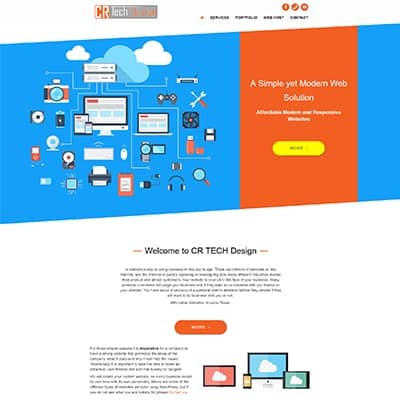 We’ve been making beautiful and amazingly functional websites for our clients since 2004. We're not a design firm. We're not a techno-mumbo-jumbo speaking group of computer geeks. We're smack in the middle. Why? 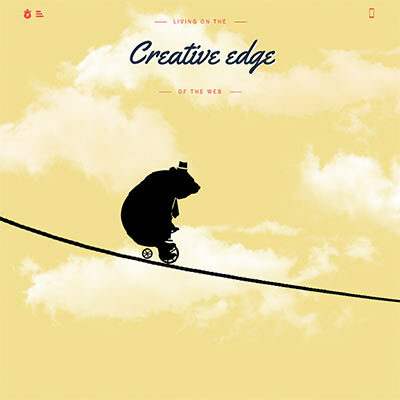 Because between technology and creativity is where inspiring websites are born, sales are increased and market share is gained. Innovative and inspiring website and app development and other online products that tell a story, surprises you and has a great user experience: that’s what we do every single day. 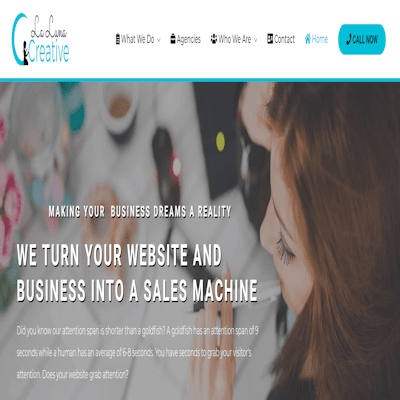 We will help turn your business dreams into reality, and turn your website into a sales machine. We'll show you ways to build your brand, discover marketing strategies that represents who you are, build the company of your dreams and position your business as the authority of your industry. 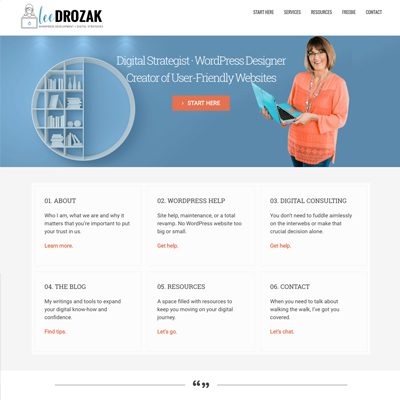 Lee Drozak Biz specializes in WordPress site redesign. Using design, development and marketing strategies ​Lee provides​ professional designed and customized websites for budgets of all sizes. I specialize in advanced code & customizations. 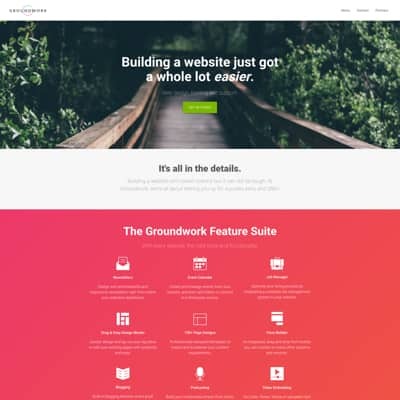 I edit CSS and make it look exactly as you want, integrate your website with existing systems such as CRM, and write custom Beaver Builder modules or standalone plugins. Our websites are structured to promote your content in a clean and professional way that complements your brand. Our clean, minimal design style lets the design take a back seat while still allowing you to communicate effectively with your target market. We specialize in small / medium business and club websites, primarily action sports websites but that doesn't mean we can't help you, we can. We have over 18+ years of experience designing and coding websites - we know how to make things easy for you and your customer. 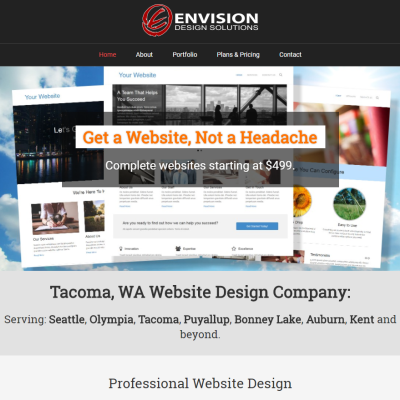 You'll walk away from this experience with a beautiful and professional website that will look like a million bucks for a fraction of the cost and you'll be extremely pleased with the whole interaction. 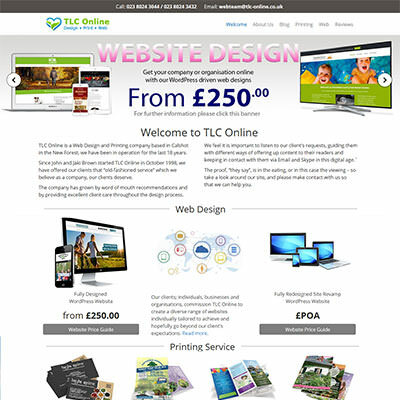 TLC Online is a family-run business who have been helping Businesses, Councils and Organizations make the most of the opportunities available on the Internet for the last 17 years designing bespoke websites. We offer a good service to our clients at an affordable price. 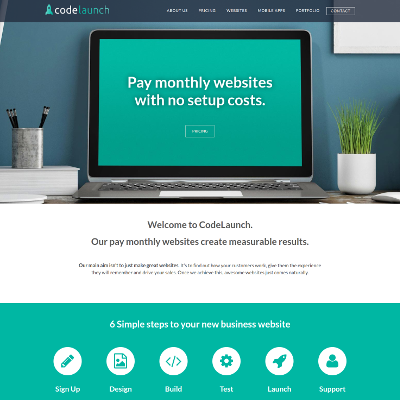 Pay monthly websites with no setup costs. 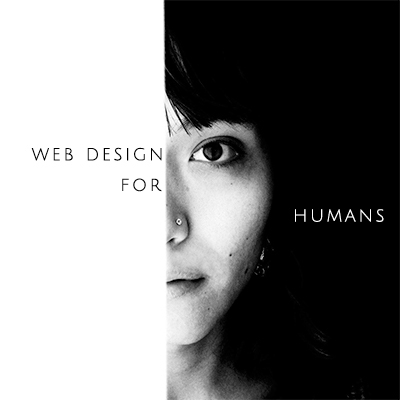 Our main aim isn’t to just make great websites. It’s to find out how your customers work, give them the experience they will remember and drive your sales. Once we achieve this, awesome websites just come naturally. 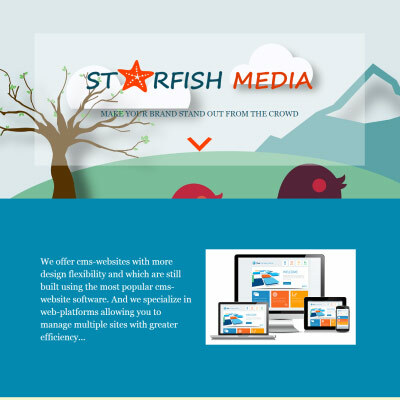 We offer beautifully designed websites that are tailor made to meet your every need. We also provide complimentary SEO optimization and hosting. 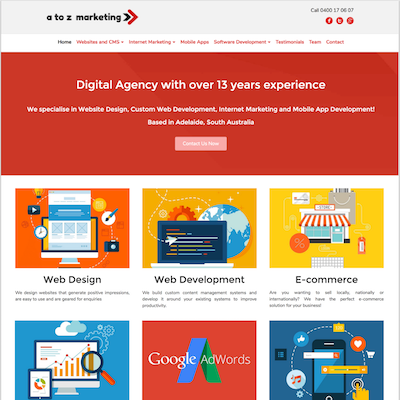 We bring years of web design & advertising experience to the digital world. "Xiphos" means "penetrating light" in Greek and reflects my values of honesty & awareness. I'm passionate about small businesses and I think today's online tech gives advantages they never had before. We are a web design & digital marketing company that focuses on creating lasting impact, results-oriented & customer-centric products that help to reach more potential customers and build engagement with your brand. 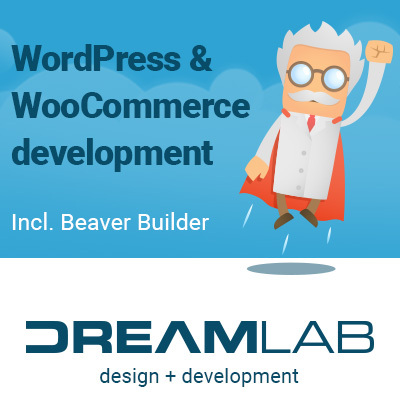 We have more than 5 years of experience in web development using WordPress technology and we use Beaver Builder to make beautiful and convert websites. 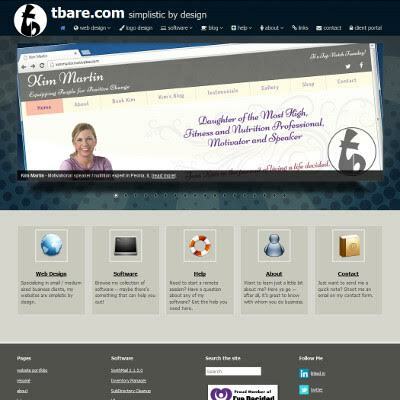 I design beautiful, highly functional websites that deliver results & helps your business grow. I work with small - medium business owners and help entrepreneurs grow their online business, guiding them step by step, starting from building websites, landing pages, social media management, all the way to more advanced solutions like digital marketing strategies. We specialize in WordPress, SEO, Online Marketing and Website Maintenance Services. 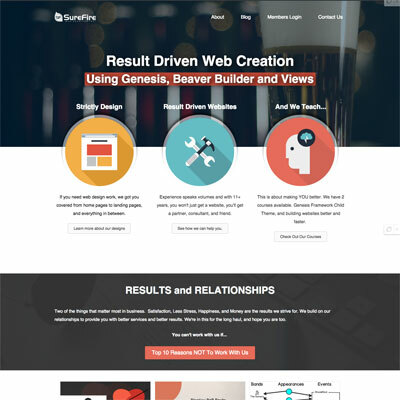 BeaverBuilder is an easy, complete and intuitive solution for web designers and clients. Our customers are happy and we too. 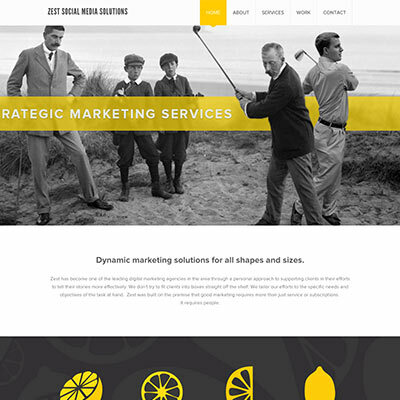 We are a result driven digital marketing agency based in East Sussex. 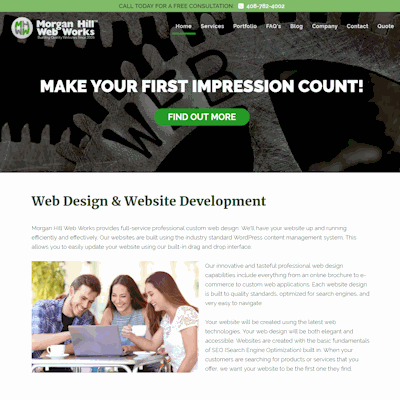 We specialise in creating bespoke designs for websites that convert traffic into customers. We won't try and cram a client's needs into an existing website template. 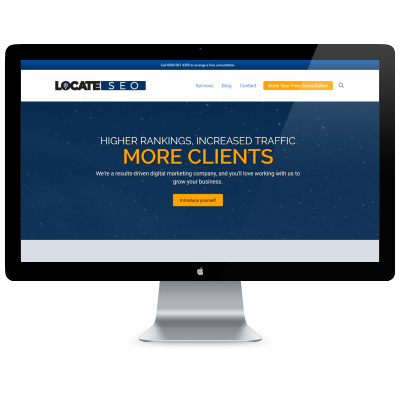 If you want to take your business to the next level, why not book a free consultation with Locate SEO? I believe in giving you the best ROI so that your website investment makes you more money over time. If you want me to build you a fast, search friendly (SEO) website platform that works for you and your customers, then please contact me so I can schedule you in today. Get a brilliant website, easily and affordably, with our pay monthly plans. 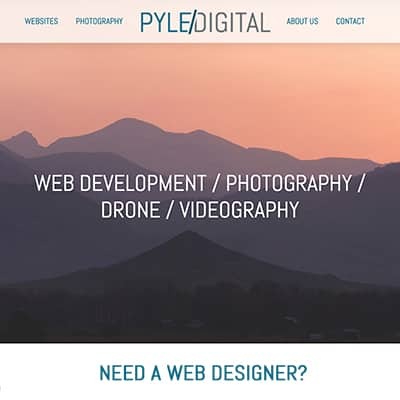 From just £25 per month, we handle the design, build and hosting of your new website. Convert more browsers into buyers today. 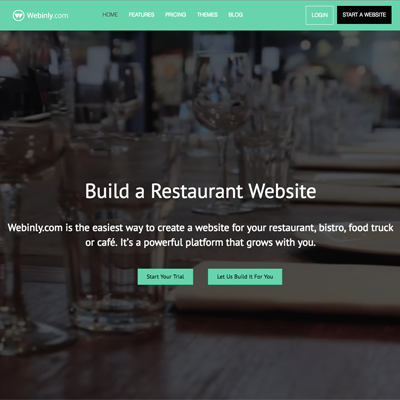 Webinly.com is the easiest way to create a website for your restaurant, bistro or food truck. We also provide custom solutions for restaurants looking for a more personalized website. Plans start at $30 a month and includes all the tools you need to market your website on the web. 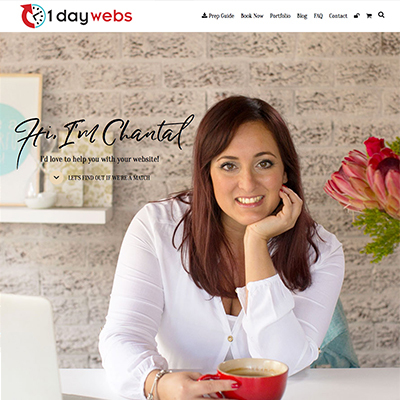 I'd love to create a professional website for you in just one day using my 1 Day Webs model! I'm an award-winning entrepreneur passionate about working with like minded women entrepreneurs. If you are a femtrepreneur in a creative industry who's passionate about your business and ready to take it to the next level, we would be a great fit. 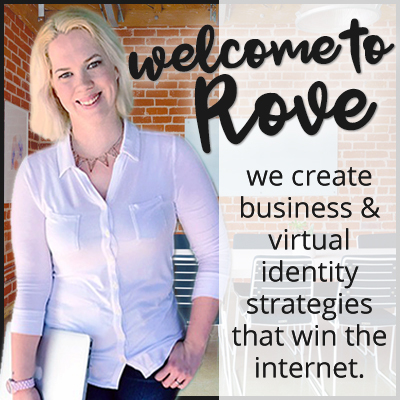 Some areas of specialty include coaching, photography, food & mom boss lifestyle sites. 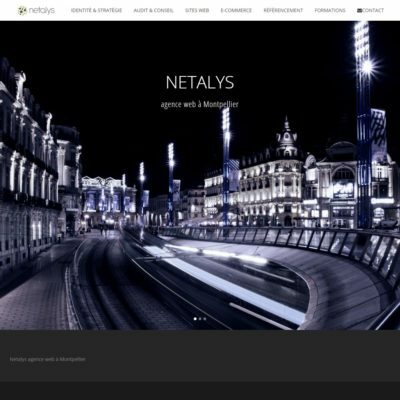 Netalys is a web agency specializing in WordPress website development. We offer a complete range of digital services and we help our customers improve their business thanks to the web tools. We have postponed accepting applications at this time. We apologize for any inconvenience and we welcome you to apply once the program is reactivated. Thanks for your understanding. 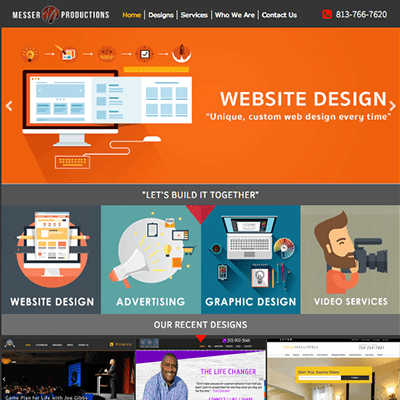 Does your company specialize in building websites with Beaver Builder? To be featured on this page, please fill out our Recommended Builders application.